Keystone Chiropractic & Sensory Development Center is just that--a sensory development center, and is what our Elevating Kids program is all about. We specialize in helping those with sensory-integration challenges/neurodevelopmental conditions. Our drug-free, natural approach helps these individuals through chiropractic adjustments, neurofunctional therapy, and nutritional testing/counseling. 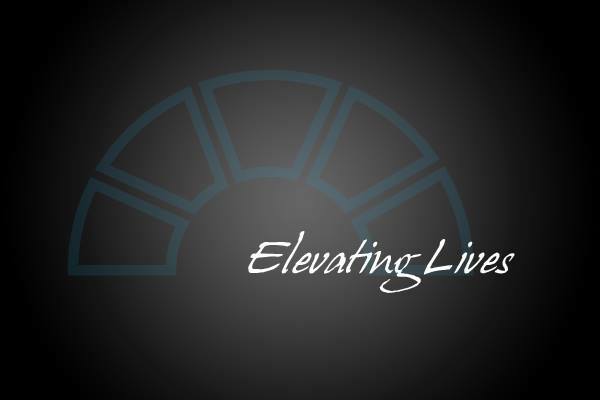 Who is eligible for the Elevating Kids Program? No diagnosis is needed. If you suspect any sensory or neurodevelopmental issues at all, you can be evaluated to see if you or your child would be a good fit for the program. Our neurofunctional therapy approach is primarily evaluated, integrated, and monitored through working with the primitive reflexes. The primitive reflexes are an outward expression of proper neurological wiring. We know that our senses are directly connected with each reflex and when properly integrated, the brain/body connection is then able to adapt porperly to the given environment. How is neurofunctional therapy different than occupational or physical therapy? 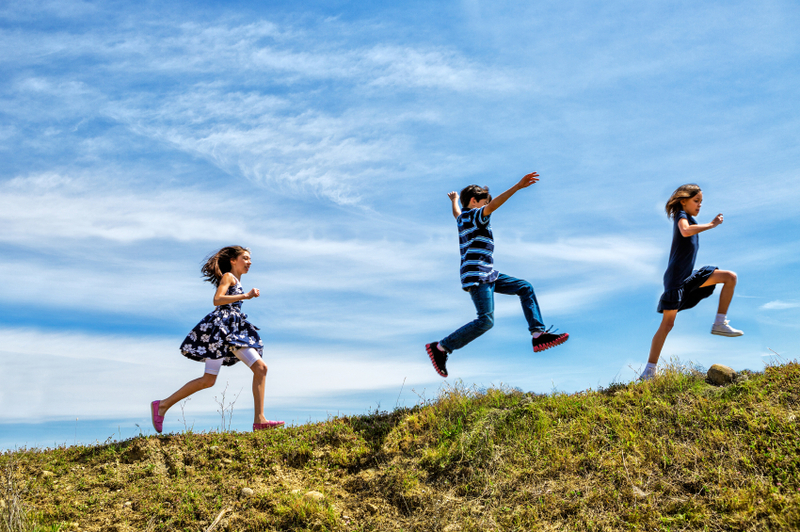 Neurofunctional therapy looks directly at the underlying neurological cause of the child's behavior or ability to cope with their surroundings. When we are able to help improve proper neurological function, additional therapies such as occupational, speech, language, behavior, visual and physical therapy given to the individual will be that much more effective. Does neurofunctional therapy replace behavior therapies like ABA (Applied Behavior Analysis)? No - Neurosensory therapy does not replace behavior therapies or any other therapies such as speech & language, occupational, etc. In fact, if an individual is receiving such therapies, neurosensory therapy will inhance their ability to succeed in those therapies. Neurosensory therapy supports the connection/communication between the body and brain and helps the sensory input to that individual and be able to have an equal and appropriate response/behavior. How is a doctor of chiropractic's approach differ from that of a medical doctor's approach? A chiropractic physician looks at the root cause of any condition/challenge the individual is facing. No one knows exactly what your body needs from one second to the next, but your individual body does. Chiropractors know that the nervous system carries that knowledge and life force that brings life and healing to every individual. Chiropractors are the only healthcare professionals that are trained in the detection, correction, and elimination of nervous system interferences. These interferences are called subluxations and they can prevent individuals from reaching their full health potential. Chiropractors treat these subluxations so the body can then begin to heal. *Our program is not intended to diagnose, treat, or cure neurodevelopmental disorders; including that of autism. The focus of our program is to naturally support the neuroimmune, neurogastric, neuromuscular, and neurobiomechanical systems to allow maximum innate human expression. Individuals presenting with neurodevelopmental disorders are known to have one or more of these systems operating at some level of dysfunction. As a former Division 1 soccer player who's had six leg surgeries, Dr. Aaron and the amazing staff at Keystone chiropractic have been a true blessing in my healing process. I've lived in 14 different cities and have seen chiropractors across the country: Dr. Aaron is far and away the VERY BEST. He treats each patient individually, is intent on helping one heal in a holistic and sustainable way, and takes time to understand the intricacies of one's needs. I literally recommend everyone to him: from kids to women to former professional athletes, and every time I have complete confidence that they will walk away equally as impressed with his work as they are with how awesome they feel after treatment. (And they do!!). Thanks for all you've done for me, my family and friends! Dr. Aaron is great to work with. I work on computers all day sitting in a chair looking at computer screens and it causes me a lot of pain and discomfort. Dr. Aaron does an excellent job correcting the damage that I've caused to my neck and back. I have been several places in town and few can adjust me properly due to the tension in my back and neck muscles and Dr. Aaron does an excellent job getting me back in alignment. Thank you Dr. Aaron for allowing me to play with my daughter and for keeping on task at work! Dr. Aaron is very approachable and listens to my concerns every time I come into the office. I have been seen by others chiropractors and Dr. Aaron is one of the best I have been to. If anyone is looking for a chiropractor to help benefit their health you need to go see him. Had my first visit today with Dr. Aaron. Way above and beyond amazing. It's very refreshing to be able to walk out of his office pain free. The attention to detail was incredible and the fact that he was able to explain to me what was going on in terms even I could understand was comforting. To bad their isn't more stars available for his review because he definitely deserves it. I would recommend Keystone Chiropractic to ANYONE without hesitation! I've been to a lot of chiropractors and Dr Aaron is the best! Dr Aaron was so good with our son. We couldn't have asked for a better experience. I always feel great after stopping in at Keystone. Dr. Aaron is the BEST chiropractor, really spends the time to make sure everything is good to go. Dr. Aaron is a world class professional!!! I love that he works with children as well as adults. I recommend giving him a call today and you will feel better!!! I can't say enough for what Dr. Aaron did for my daughter. She was born with a misshapen head, wasn't developing like a little baby should and medical doctors said she would be a special needs person her whole life. Dr. Aaron diagnosed her (I didn't even know chiropractic could help with something like that). After treatment my little girl is now as normal as any other kid and all of her old symptoms are gone. Dr. Aaron is absolutely phenomenal. I am not exaggerating in the least when I say he has changed my life. The first doctor to ever figure out my health issue that I've been dealing with for years between medical doctors, dermatologists, homeopathic doctors, and other chiropractors. He is super personable, intuitive, accommodating, and educated. I would not recommend anyone else as highly. I am a soccer player who loves running and this had my lower back in pain. I started going to Dr Aaron over a year ago and the difference I notice in my body is phenomenal. Not only has he helped me feel better with my lower back and overall positioning; this guy is full of knowledge. Dr. Aaron focused on my overall health as opposed to just my specific pain or discomfort at that time. Not only was my discomfort addressed but he reviewed the rest of my alignment to make sure no other issues arose. I value and appreciate his knowledge and expertise. I believe he truly loves what he does and it shows through his care of each patient. I was really nervous about being adjusted. I think the Dr. Aaron could sense that. However, he was very patient and told me exactly what he was going to do so I felt more reassured. He has great bed side manners and a very calm, pleasant personality. It is obvious he genuinely cares about his patients. I will definitely continue to use Dr. Aaron. Dr. Aaron is by far the best chiropractor that I have been to. He has excellent bed side manner and is very talented at treating both acute injuries and wellness. I have personally seen and experienced him help every age group from the newborn babe to the elderly. His side posture technique for adjusting lower backs is one of the best I have experienced ( I have been to about 12 different chiros from 3 of the major schools) and his techniques are the best. Dr. Aaron is hands down the best!!! Dr. Aaron is an amazing chiropractor! Dr. Aaron helped me when I was having pain during my pregnancy and then helped again when I was having problems postpartum. He has also helped me with supplementation and nutritional advice. Dr. Aaron has done gentle adjustments on my baby that have also been tremendously helpful. I won't go to any other chiropractor, I highly recommend him! I've never been one to go to a chiropractor but I have had nothing but success when I go to Keystone. I love that the schedule is flexible and before I leave I'm always asked if I'm feeling better. I also feel like how Dr. Aaron cares not only about helping you feel better but shows interest in your life. It's a great atmosphere and he really helps. He always makes sure you are comfortable and worried about what your getting into. He is so caring and is always so positive he has made it possible for me to continue my career in the Military. I am so grateful. Dr. Aaron is FANTASTIC!! I was blown away with my first Chiropractic experience with him at Keystone Chiropractic. He displays a high level of professionalism with allowing you to understand all the key elements on how your body works. Not only is this great for adults with back pains, but for anybody at any age! I was having a terrible ear ache and he knew just the trick to help me through this suffering pain I was constantly feeling and keeping me from my everyday activities. Little did I know it feels great to not have this throbbing pain without any kind of surgery! Plus, its extremely relaxing and a GREAT way to end your work day.